A Forest Products Commission initiative focused on increasing utilisation of Western Australia’s timber resources is poised to develop new markets and create regional jobs. Logs will be released into the marketplace to stimulate innovation and see some resources that do not currently have any commercial value used for the production of veneers and engineered wood products. Director Operations Gavin Butcher said the industry was adapting through innovation to produce high-value products from smaller regrowth logs and residue. “The release of this timber has the potential to stimulate jobs in the WA timber industry through the construction and operation of a new processing plant, and the opportunity for new downstream manufacturing industries,” Mr Butcher said. 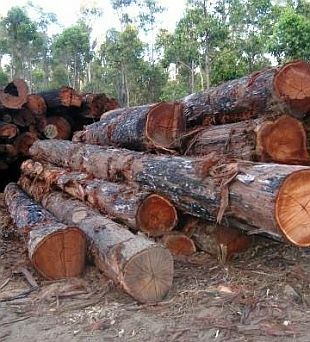 “Previously some of this material has been sold as lower-value products or burnt following harvesting, however advances in technology allow it to be processed into high-value products.” Establishing a market for these logs will also go a long way to meeting the goals for ecological thinning set by the Forest Management Plan 2014-2023. Ecological thinning helps to combat the threat to forest health from lower rainfall and climate change. “The opportunity of a market for veneer enables the commercial harvesting of the smaller regrowth trees, and improvements in forest health,” Mr Butcher said.